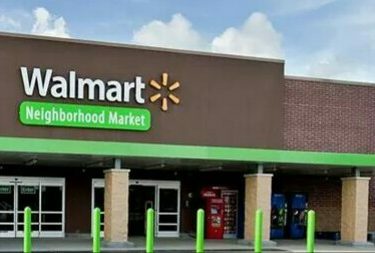 After a careful and thoughtful review process, Walmart has made the difficult decision to close the Walmart Neighborhood Market at 712 North Western Ave in Liberal on April 19, 2019. The decision is based on several factors including the store’s overall performance. Walmart invites customers to shop at the other Liberal-area store at 250 East Tucker Road and on Walmart.com. Walmart Neighborhood Market opened in Liberal in September of 2015 and employees 74 Associates. KSCB News reached out to Walmart, and Tiffany Wilson, a spokesperson for Walmart, stated that their number one priority at this time is to take care of their associates. Walmart will try to find positions in the company for for all of the Market employees, either at the Walmart Super Center in Liberal, in neighboring communities or elsewhere in the company. If an associate does not find employment within the company, they will be paid through May 24th with severance after that. The Fuel Station will close on the same date as the Market, April 19th. As far as plans for the property, Ms. Wilson said it is too early to tell as right now their main focus is to take care of their associates. Walmart will continue to serve customers in new ways across Kansas through expanded Online Grocery, store remodels and many other innovations aimed at saving them time and money. Walmart will also continue the investments in training to give associates the skills to succeed and a path to grow their careers. Factors that contributed to the stores closing included overall performance of the store, and meeting the needs of today’s shopper. That includes those that prefer to shop online, in store, or a combination of the two.